Professor Bose was born in Calcutta (now Kolkata), India. He received his B.E. degree (1956) from Bengal Engineering College under University of Calcutta, (Indian Institute of Engineering Science and Technology, Shibpur (IIEST Shibpur)), M.S. degree (1960) from University of Wisconsin, Madison, and Ph.D. degree (1966) from University of Calcutta. He started his career in India in 1960 and emigrated to USA in 1971 to join Rensselaer Polytechnic Institute, Troy, NY as faculty member (1971-1976), then to GE Corporate Research and Development in Schenectady, NY as research engineer (1976-1987), and then he joined the University of Tennessee as a Chaired Professor (1987-2003). Concurrently, he was the Distinguished Scientist (1989-2000) and the Chief Scientist (1987-1989) of EPRI-Power Electronics Applicationg Center. Bose held the Condra Chair of Excellence in Power Electronics (Endowed Chair Professor) at University of Tennessee, Knoxville. Bose organized its power electronics teaching and research program for 15 years. He is recognized as world-renowned authority and pioneer in power electronics for his many contributions that include high frequency link power conversion, advanced control techniques by microcomputers, fuzzy logic and neural networks, transistor ac power switch for matrix converters, adaptive hysteresis-band current control, etc. He also pioneered power electronics applications in environmental protection that help solving climate change problems. He was a Visiting Professor in Aalborg University, Denmark (1997), University of Padova, Italy (2003), Federal University of Mato Grosso Sul, Brazil (2006), Savilla University, Spain (2008), and European Ph. D. School on Power Electronics, Italy (2010). He was a consultant in large number of industries. 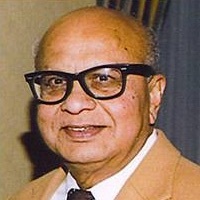 The IEEE Industrial Electronics Society Magazine published a special issue (June 2009) “Honoring Dr. Bimal Bose and Celebrating His Contributions in Power Electronics. The IEEE Industrial Electronics Society (IES) established the annual Dr. Bimal Bose Energy systems Award from 2014 which was funded by IES and IEEE Foundation. Professor Bose is the sole author/editor of seven books in power electronics some of which have been translated into several foreign languages, and some of which are widely used as texts throughout the world. His book “Power Electronics and AC Drives”(1986) is the first English language text book in power electronics and motor drives area.